The Milwaukee M18 Fuel™ CIW12 Fuel Compact Impact Wrench at less than 155mm in length, delivers maximum performance in a compact body. It features the Milwaukee® DRIVE CONTROL™, which allows the user to shift into different speed and torque settings to maximize application versatility. A bright LED provides workspace illumination, whilst an all metal reversible belt clip allows the tool to be easily carried. POWERSTATE™ brushless motor for up to 10 times longer motor life. REDLINK PLUS™ intelligence, providing total system communication with overload protection to increase the tool's life. Mode 1 (precision work): No Load Speed: 0-1,700/min, Max Torque: 105Nm, Impacts Per Min: 0-2,500/min. Mode 2 (helps prevent damage to fasteners and material): No Load Speed: 0-2,000/min, Max Torque: 160Nm, Impacts Per Min: 0-3,000/min. Mode 3 (delivers maximum performance for the toughest applications): No Load Speed: 0-2,400/min, Max Torque: 280Nm, Impacts Per Min: 0-3,100/min. M18 CIW12-402C: 2 x 18v 4.0Ah REDLITHIUM-ION™ Batteries. 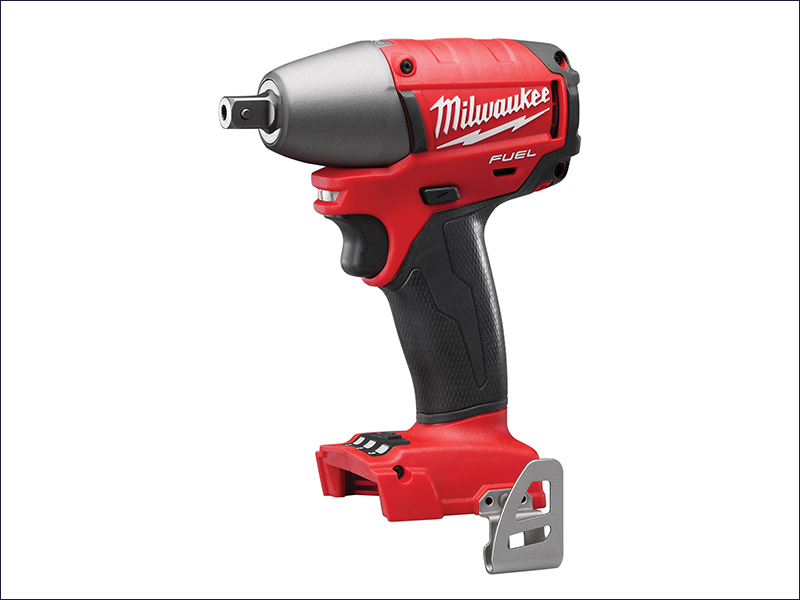 The Milwaukee M18 Fuel™ CIW12-0 Compact 1/2in Impact Wrench is supplied naked. No battery or charger included.